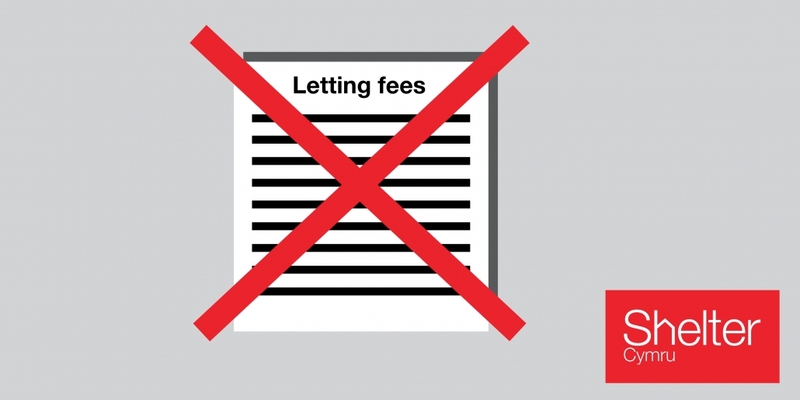 This week the Senedd passed legislation to ban letting agents from charging fees to tenants. It was a landmark day for our campaign supporters, who worked with us three years ago to build the Letting Go campaign. Our campaigners carried out a mass mystery shop of agents across Wales – visiting high street premises, interrogating websites, and ringing agents up to gather the evidence that would one day lead to a change in the law. The resulting report showed excessive, inconsistent and unfair fees being charged on a massive scale. For a long time it was the only evidence available in Wales on this important issue, which has made it so much harder for people to afford homes in the private rented sector. This legislation is going to make life easier for many thousands of people. Tenants will no longer have to find hundreds of pounds in upfront fees at the start of a tenancy. The security deposit will be capped at six weeks’ rent. Any holding deposit will also be capped at one week’s rent, and fully refundable. We’ve worked hard to influence the Bill as it passed through the Senedd. Initially we had concerns over the draft provisions for default fees. These are fees charged for ‘defaults’ by the tenant such as late rent or lost keys. While we didn’t dispute that default fees are sometimes justified, the way that the first version of the Bill was worded would have allowed agents to charge for any perceived breach of the tenancy. This would have created a huge loophole open to exploitation. But the Welsh Government listened to our concerns and pledged to introduce regulations. These will define what default fees are and ensure that if tenants are charged unfair default fees, they can get their money back without having to go through an expensive and stressful court process. So when will the new Act come into force? We still don’t know. England’s equivalent law is coming into force in June. Sadly Welsh tenants will need to wait a bit longer, but the First Minister has pledged to bring it in by September. It’s frustrating to have to wait, but at the same time, it is so important that we get this right. Shelter Cymru has heard of some unscrupulous agents in Scotland being very ingenious and finding ways around the Scottish ban. By taking our time and getting it right we hopefully won’t be leaving the door open for exploitation of tenants in the future. It’s good news for tenants in Wales – and it’s great news for housing campaigners. Campaigning works!